For example, if you want to add a new work item, you no longer have to hunt down the corresponding view - just tap the "Add" tab and select the entity type you wish to add. We've also added the possibility to select more than one team and fill out additional custom fields when using Quick Add to create a card. 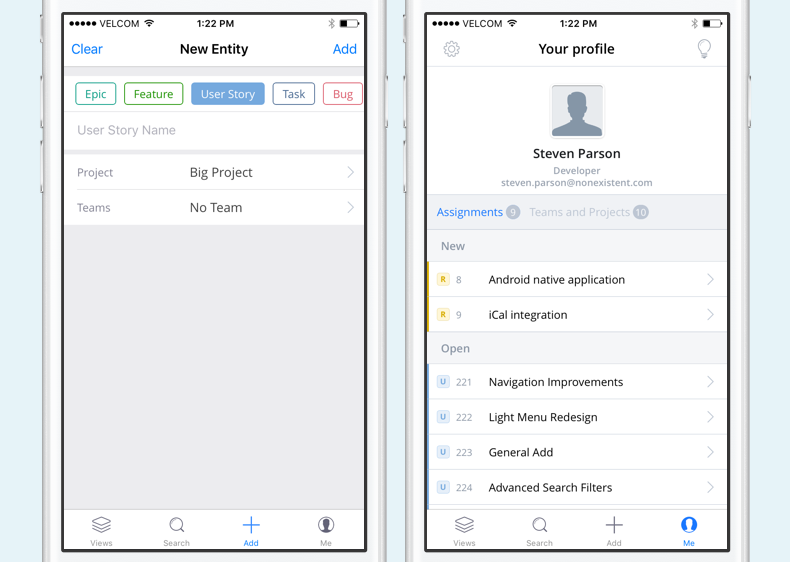 We're now working on improving Entity views and extending the app's functionality. If you have any suggestions or feedback for us, feel free to shoot us a message at mobile@targetprocess.com.